Home ... NNF ... Manston ... Roger Gale – joker or knave? Oh dear, oh dear, that Rodge, he just can’t help himself when it comes to his emotional attachment to that poor old failed airport. Facts become irrelevant in his desperate desire to resurrect any kind of an airport from the ashes of the extinct one. In fact, the only people who have ever talked in these terms are the airport-at-any-price pressure groups. So, either Rodge is shockingly ill-informed, or he is knowingly and deliberately making this up just to mislead the electorate. Surely not? Not old “180º degree post-election about-turn” Rodge? What? Say anything that comes into his head in the hope of getting elected? Perish the thought. No, it must be that he simply doesn’t know what he’s talking about. Could anyone out there bring the poor love up to date on the owners’ plans so that he can give this a bit of thought and then make a more fact-based comment? Ta. Previous WTF – Who’s Tony Freudmann? I feel very sorry for mr gale, his tunnel- vision for manston is pathetic. I also object to being an off-shoot of thanet north when my council tax goes to Canterbury. 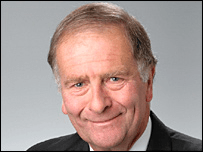 Voting for Sir Roger on May 7th would be like banging another nail in Thanet’s coffin. He should have retired gracefully but he is on a personal mission and this debacle on Manston Airfield will come back and bite hard on Thanet residents and job seekers. Several years ago he met the owners of a business in Herne Bay and told them he would support them and do everything he could to protect their business. He subsequently wrote a letter to the Council that led to the business having to close down. Enough said. At a previous General Election he canvassed in our road, spoke to me on my doorstep and made all sorts of promises. He never kept any of them. I would never vote for him again. As far as Manston is concerned, he should accept that the airport is closed and will never open again and stop supporting its re-opening just to get votes.